It’s KartSport New Zealand North and South Island Sprint Kart Championships title time again with events in Hamilton and Nelson over Labour Weekend. The SsangYong KartSport NZ North Island Sprint title meeting is being run by the KartSport Hamilton club at Agrisea Raceway opposite the city’s airport. And the Mike Pero Real Estate South Island Sprint meeting in being hosted by the KartSport Nelson club at The Hits Chocolate Velvet Raceway near Richmond. Both meetings have attracted strong entries with over 110 across eight classes for the North Island meeting and almost 80 across eight classes for the South Island one. Each meeting will be run over two days (Saturday and Sunday) but the formats are slightly different this year. At the South Island title meeting the Nelson club is keeping with tradition and running four classes on Saturday and four on Sunday. For the North Island titles meeting the Hamilton club has decided to run qualifying and heats for all eight classes on Saturday, and all eight pre-finals and finals on Sunday. Key interest at the North Island event will be in the classes with the biggest entries, Rotax Junior with 24, and Vortex Mini ROK with 23. Despite wintry showers making things difficult the recent Hampton Downs Top Half Series round at Hamilton offered a fairly accurate guide to form heading into this weekend’s North Island title meeting. Palmerston North young gun Jackson Rooney was the dominant figure in Rotax Junior, with the real battle for positions two to six which involved locals Fynn Osborne and Connor Davison, last year’s Vortex Mini ROK class NZ #1 Breanna Morris from Auckland and second-generation racer Zac Stichbury from Hawke’s Bay. Rooney will also be looking to ‘do the double’ as one of a number of young drivers also entered in the Junior Yamaha class. In Vortex Mini ROK it is hard to look past the ‘dynamic duo’ of Liam Sceats from Auckland and Emerson Vincent from Pukekohe. Another young Auckland driver, Ayrton Williams, claimed a breakthrough class win at the Top Half Series meeting, but it was by just the one point over Sceats, with Vincent third. With reigning NZ#1 Louis Sharp defending his 2016 South Island title in Nelson there is also a real chance for someone else to step up to the plate in Cadet ROK. At last year’s North Island champs it was Palmerston North’s Kiahn Burt, while at the recent Top Half round it was Hayden Lines. Young second-generation racer Jay Urwin from Tauranga is also a possible title contender. 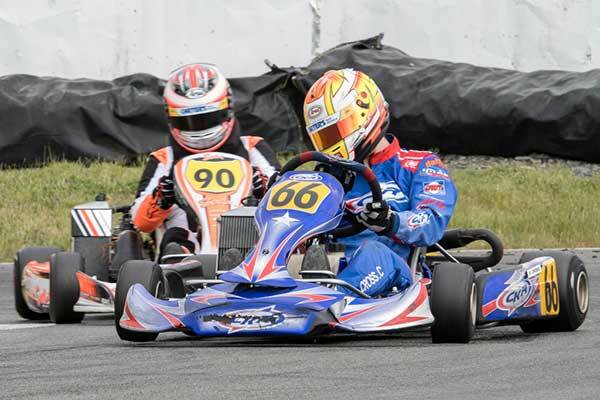 Interest in the Rotax Light senior class centres on whether Top Half round class winner Campbell Joyes can again use his local track knowledge to beat Auckland-based international Dylan Drysdale, and defending North Island title holder Jacob Cranston from Palmerston North. Toyota 86 (car) class champion Ryan Yardley is back in a kart again this weekend, trying no doubt to replicate the form which saw him take Rotax DD2 class honours over another moonlighting car racer, Speedway Super Saloon champ Sam Waddell, at the Top Half meeting. Both will have their work cut out however, with Taylor Harte from Tauranga and top Australian driver Scott Howard also running in the Rotax DD2 class at the event. Rotax Heavy, meanwhile, sees the return to the track of former class title-holder Zach Zaloum from Hawke’s Bay to take on Top Half series round winner Caleb Hartley, and fellow podium finishers Darren Walker and Scott Allright. Vortex Mini ROK, Rotax Junior and Rotax Light are the three best supported classes at the South Island championships meeting. In Vortex Mini ROK a feature will be the entry of Christchurch youngster Jacob Douglas, the reigning NZ #1, fresh from his top 20 performance in the B Final at the ROK Cup International meeting in Italy last weekend. Local ace Bo Hill will be looking to keep Douglas honest though, as will Dunedin pair Jaxon Harvey and James Black. 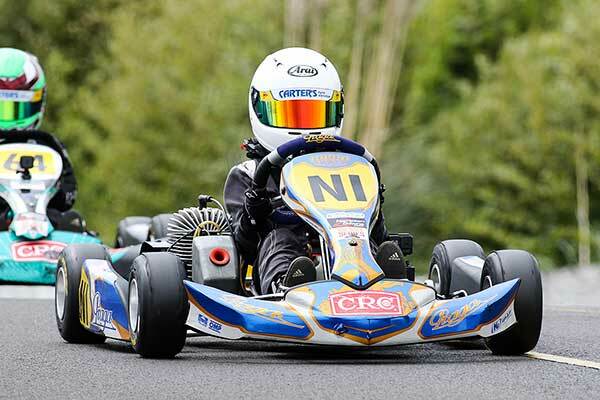 Fellow NZ #1 Louis Sharp is also in top form at the moment and will be keen to defend his 2016 South Island title in the Cadet ROK class where competition is expected to come from Nelson pair Ollie Workman and Lochiel McGregor. In the other Junior classes Picton’s William Exton is one of a number of drivers contesting both Rotax Junior and Junior Yamaha with he and Christchurch’s Adam Godwin well placed form-wise in both. In the Rotax Light Senior class, meanwhile, the return from Stock Cars of Scott Manson adds spice to what on paper looked like a two-way title fight between Rangiora’s Chris Cox and Christchurch’s Caleb Cross. Multi-time South Island title-holder Cox, who in past years has entered three classes at a South Island title meeting, is also competing in the Open class where he will meet fellow Rotax Light class runners Matt Butchart, Jack Noble-Adams and David Pinkerton. Finally, it’s hard to look past none other than KartSport Nelson club President Kevin Barker in Rotax Heavy. That said he will have to get the better of Dunedin’s Arron Black and Invercargill’s George Keast not to mention Nelson clubmates Daryl Wehner and Matt Butchart. Barker is also in for a busy two days at the meeting, also contesting the 100cc Yamaha class where he, Arron Black and George Keast will come up against the likes of young guns Caleb Cross and Jarrod Cleghorn from Christchurch.